It’s officially festival season, and it’s now only 4 weeks away until me and Terri head off to Leeds fest for our third year in a row! I’m super excited, and am really looking forward to seeing some of my favourite bands Don Broco, Bring Me The Horizon, and Mumford and Sons. In preparation for my festival weekend, I’ve started thinking about what I will need to pack, and have been checking out the Zalando festival guide for some ideas and festival style inspiration. Last year we were really lucky with the weather (check out my outfits here) and it was nice and sunny and warm for the whole weekend. I wore skirts and tops and then layered up with jumpers and a jacket in the evening, and this kept me snug enough. Fingers crossed we will be lucky again this year, and hopefully this horrible rain will stop! I find the best things to wear are dresses as they’re so easy to just throw on and can then layer up afterwards, and can be really easily accessorised too. I generally wear tights with long socks on top, and sometimes an extra pair of socks so that my wellies are comfy! If you ever contemplate wearing any footwear other than wellies to a festival… don’t. You need wellies whatever the weather! Waterproof coat – even if it’s just a cheap poncho.. there’s nothing worse than being cold and wet all weekend! bars for when we get a bit peckish. Wet wipes/tissues/plasters – Don’t forget these! Wipes like these from Savvy Travelers will always come in handy when on the go. with me, and also a little mirror and mini hair spray and dry shampoo to keep myself looking slightly presentable. This year I’m also taking some fun neon hair mascara and nail art! And don’t forget your hand sanitizer and sun cream too! your phone (unless you pay crazy prices). 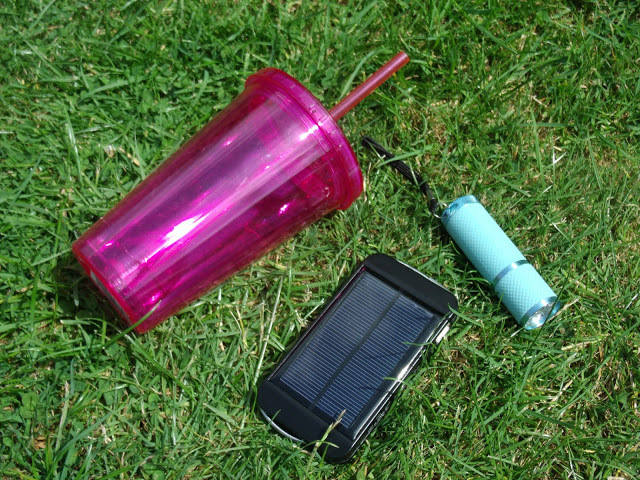 But there are loads of portable phone chargers available these days, and this year I’m going to try out a solar powered one to hopefully keep my phone juice topped up. 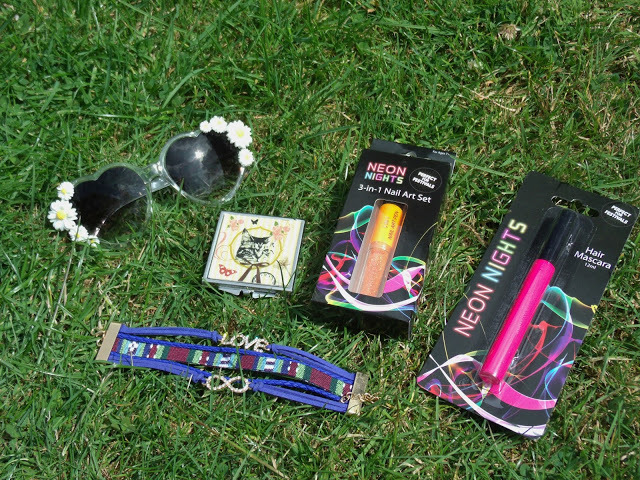 Glasses/sunglasses – A festival essential.. don’t forget these! 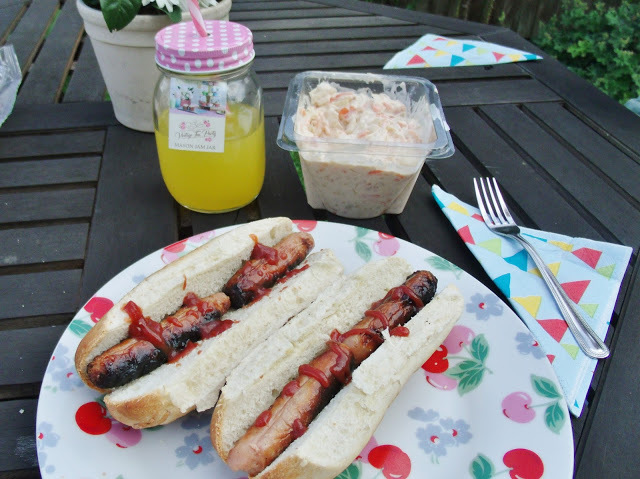 Disposable BBQ – I have only very recently had my first BBQ experience at home using a little disposable BBQ from Home Bargains, which was only £3.99, and it was a great success! 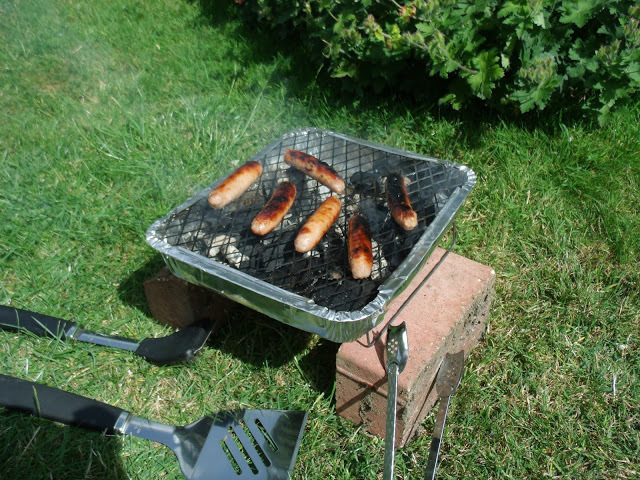 They’re ideal to take to festivals (most do allow them in campsites) and they are really great at cooking sausages! 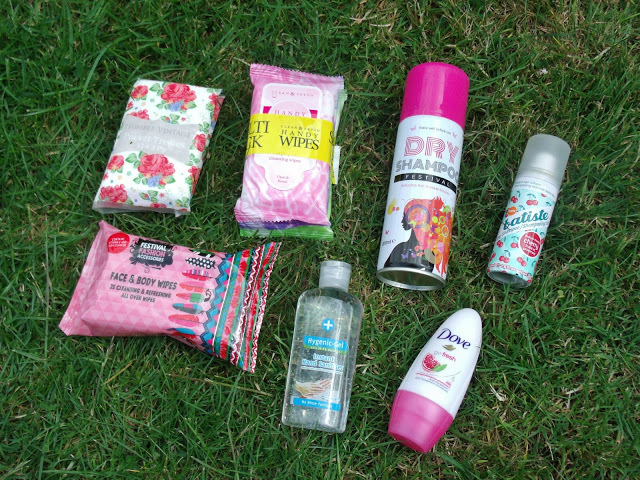 Home Bargains is great for picking up cheap bits for festivals, and they currently have a festival range in at the moment featuring loads of low price goodies! didn’t get caught in any rain! bars, Milky Ways, and Ritz crackers. my wellies rubbed the backs of my feet! your phone (unless you pay crazy prices). So I took along a Energizer Portable Power Smartphone Charger which helped to keep my phone juice topped up. great free trial service so you can try before you buy! 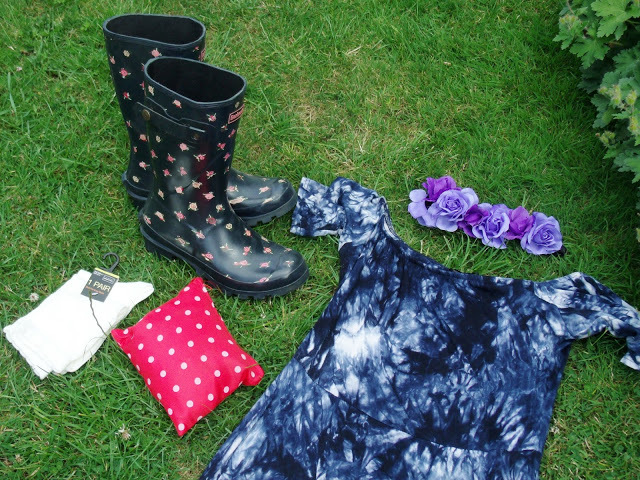 Great festival packing tips! I went to T in the Park in July and it was awesome. Leeds/Reading is on my list of ones to go to! Love your tips! I just returned from volunteering at Latitude festival and it was so fun. Disposable BBQs are great, but they really shouldn't go on grass, they should be perched on bricks due to the fire risk, or tin cans can work. Another really good option is the bucket bbqs, they are fairly cheap (about £10) and reusable. We managed to boil pots of water on ours too :). 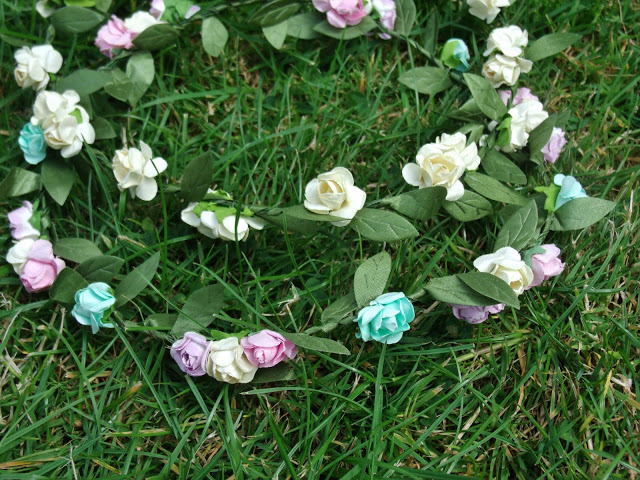 I wish I was going to Leeds! Have a great time!